Sometimes I seriously question if Averi is my kid. Like when I take her out for ice cream and she orders coconut. I mean, really? Coconut? That is not a treat. Why even bother? Give me mint chip! Or really, any flavor with chocolate. Because that is what ice cream should be. Not fruit based. Averi and I had this same disagreement over breakfast yesterday. I just started getting Taste of Home delivered again. I had a subscription to it for years, after first getting it as a gift. Then I cancelled it because Pinterest. So of course they send me letters every month with offers. The last one was for a two year subscription for $10. And that made me sad. As I’ve mentioned, pre-Averi I worked in media. My first job was with Tucson Lifestyle (which I still must italicize, as was protocol). From there I went on to an advertising agency followed by a radio station. I have appreciation and loyalty to the old school methods of advertising that I was a part of. So seeing two years of a good magazine being offered for only $10 makes me sad. Magazines are becoming unappreciated. So to show appreciation for the career I loved, I subscribed. My first issue arrived last week and there was a great recipe for a seriously easy, and delicious looking, chocolate bread. I wanted to make it for breakfast. I asked Averi if she wanted to help. Not only did she not want to help, but she didn’t even want to eat it. I was in shock, and mentioned the chocolate part like ten times. She kept saying no. 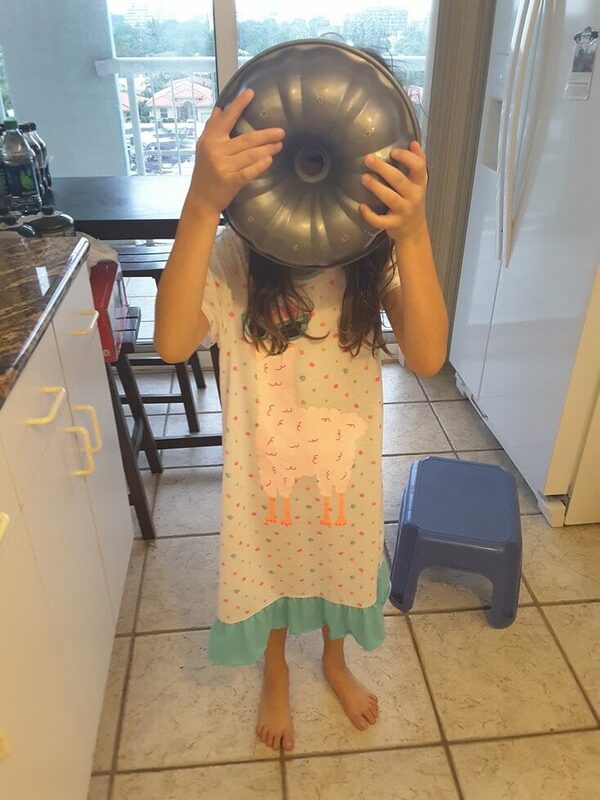 Then she pulled out my bundt pan and said she wanted to make something with that. 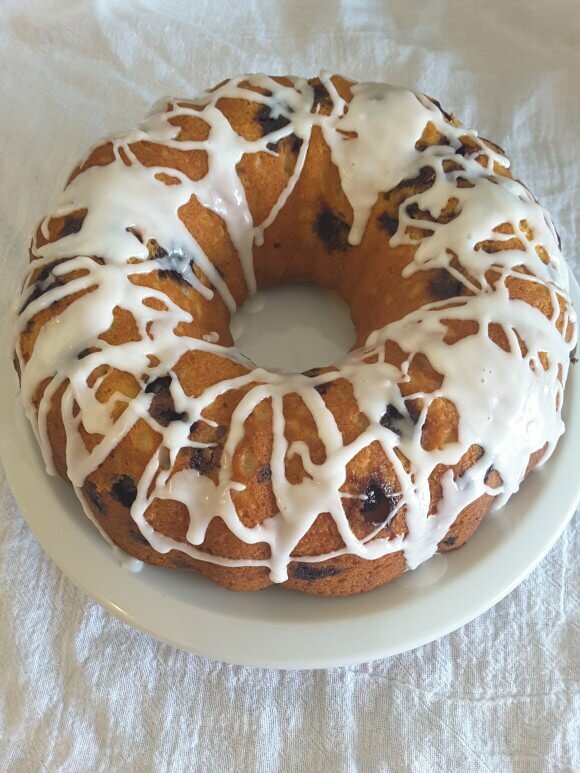 My tried and true recipe that I use my bundt pan for is a yogurt cake. 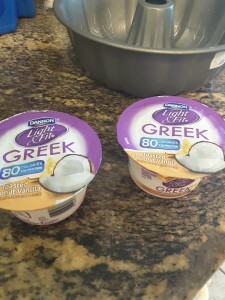 So I looked at what ingredients I had on hand and told her we could make a coconut blueberry yogurt cake. I was sure she would say no as she isn’t a huge blueberry fan, and then we would make the chocolate one and the world would be right. 🙂 But I forgot about the hold coconut has on her. She wanted the yogurt cake. And because I am an accommodating mother (and it used the blueberries that I really needed to use), we made it. This recipe normally uses vanilla Greek yogurt, strawberries and lemons. I had none of that. So I used coconut vanilla yogurt, blueberries and a lime. Even if I had a lemon I still would have used the lime as I think it paired better then the lemon did. So if you change the yogurt too, pick the citrus that matches the flavor profile best. This combo was good. The coconut was mild, and the lime flavor kept it light. Averi inhaled it. As did the friends and building workers we shared with. Cause the sooner it is gone the sooner I can make the chocolate bread. Plus whatever other appealing recipes Taste of Home sends me. Do you still get any magazines? How many do you subscribe to? How many did you subscribe to before Pinterest? Combine 2 1/4 cups flour, baking soda and salt. Mix in lime zest. Set aside. Beat together the butter and sugar until light and fluffy. Add in eggs, one at a time, beating well. after each. Add in 1 tbsp lime juice. Alternate between adding flour mix and yogurt, beating until just combined. 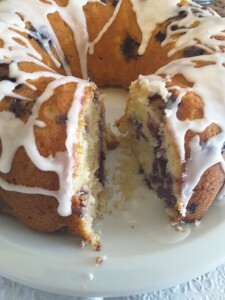 Toss the blueberries in remaining 1/4 cup flour. Gently add them to the batter. Pour batter into greased bundt pan. Place in oven and reduce temperature to 325. Bake for 60 minutes or until set. Let cake rest in pan for 20 minutes, then cool completely on wire rack. Once cooled combine 2 tbsp lime and the cup of powdered sugar. Drizzle over the cake. Enjoy!